Every tooth is made up of a hard outer later (enamel), a core that supports the enamel (dentine) and pulp, the central area that contains blood vessels and nerves and is located in the root canal. When the pulp of the tooth is infected or decayed, a root canal may be required. The gentle team at Shine Dentists, Franklin is experienced in endodontics, which involves the removal of infected pulp. 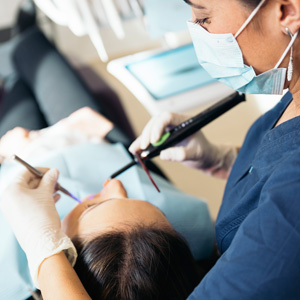 It may be necessary to get a root canal because of caries, trauma or severe gum disease. By cleaning out this area of the tooth, we can prevent issues such as an abscess and other serious problems that can affect your overall health. Contact us today to discuss improving your oral health! Convenient weekend appointments are available on Saturdays and Sundays.